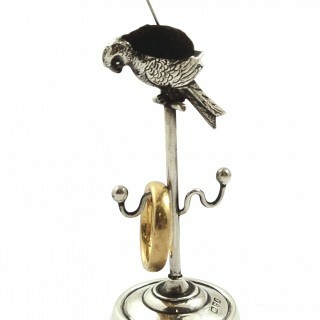 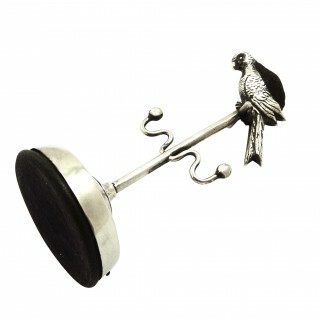 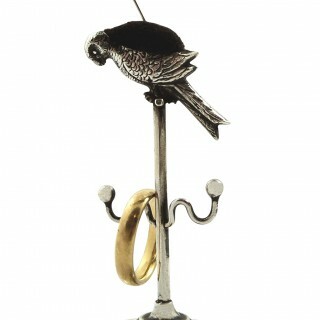 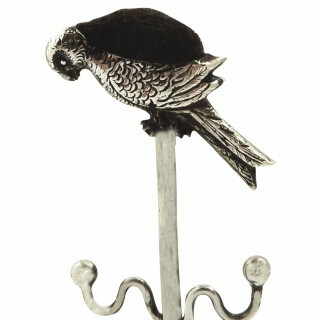 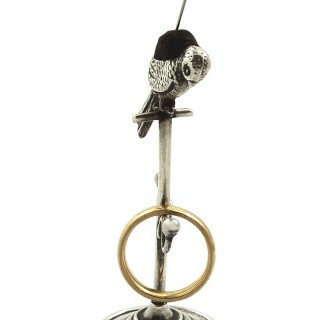 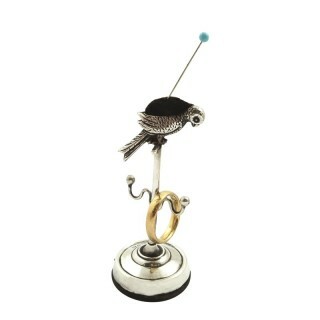 This is a super antique Edwardian hallmarked sterling silver pin cushion in the style of a parrot sitting on a ring tree. 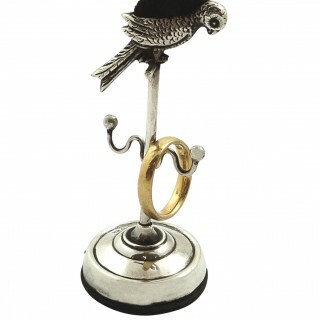 It measures 3 3/4″ (7 cms) tall x 1 1/4″ (3 cms) across the base. 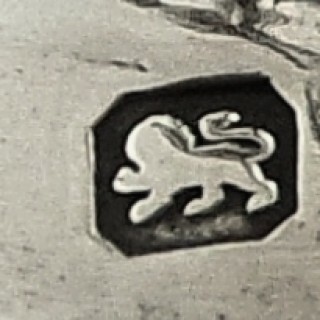 It’s hallmarked for Chester 1913 with the silversmiths mark for Adie & Lovekin and is in very good condition with two ‘branches’ for rings.